When it's time to escape the ordinary, it's time to find yourself in the magnificent city of Florence. This historical city is not only the birthplace of the Renaissance, but has also become a city that encompasses the new world in its' old architecture. Walk along the streets and admire the exquisite buildings, but here you will also find the world's most exclusive styles and brands. Here is our guide on how to make the most of your time in Florence. When you find yourself in need of a good shopping spree, Florence will not disappoint. Venture to Via Tornabuoni, which is characterised by its presence of famous fashion boutiques; Gucci, Prada, Burberry, Tiffany and Co. At the end of the street you will also find the Palazzo of Salvatore Ferragamo, with an exquisite showcase of shoes. Venture a little further down the street, along the Arno River, and you will find the Ponte Vecchio, which is a historical bridge now comprised of incredible jewellery shops. Aquaflor is an experience like no other, that brings back the personal touch to shopping. This hidden Florentine treasure is a perfume shop that is dedicated to creating the best perfumes, including custom made. Come into this charming store that is lined with wooden panels, and has an atmosphere that feels like from a different time. While anyone can enter and experience the incredible scents and products that Aquaflor has to offer (ranging from perfume, to lotion, to soap), only by appointment can one go through a guided tour by the perfumer. During this tour, and perhaps over a cup of tea, guests will be guided in the process of creating a custom scent, made perfectly for you. While it is expected that you will eat everything in sight as you are walking along the cafe's of the Florentine streets, when it's time for dinner 'La Giostra' is an incredible choice. This little restaurant was started by a Hapsburg Prince that was convinced by friends to start his own restaurant. Their secret in amazing food is "ancient and new flavors mixed with passion". 'La Giostra' is a truly charming small restaurant, that is filled with the authentic Italian atmosphere, that is only enhanced by the impeccable food that will have you asking for seconds. When travelling to the city of Florence, there is no better place to stay than in the rolling hills of the Tuscan countryside. 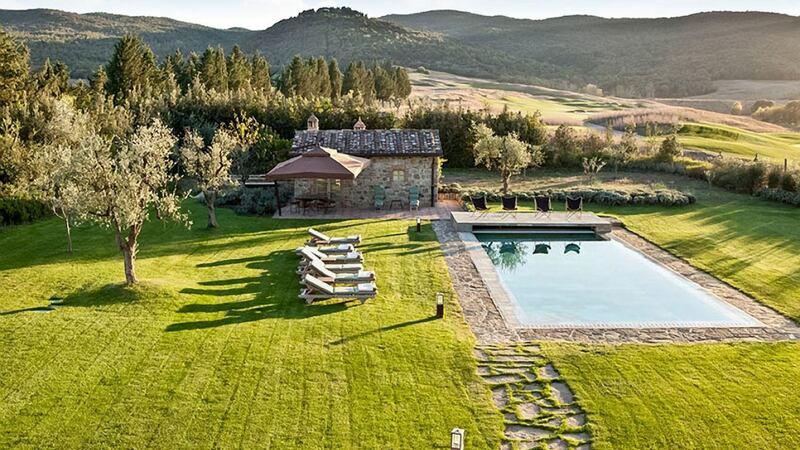 Villa Callet is an incredible vacation home located on the Rosewood Castiglion del Bosco estate in the Val d’Orcia region. While this home has a classic florentine aesthetic, it is also comprised of very modern interiors. Inside, the 5 bedrooms and 6.5 bathrooms are all beautiful, and perfect for relaxing after a day spent in Florence or a dip in your own private pool. Don't miss out on all that Tuscany has to offer! Consider booking your next vacation with LVH Global. 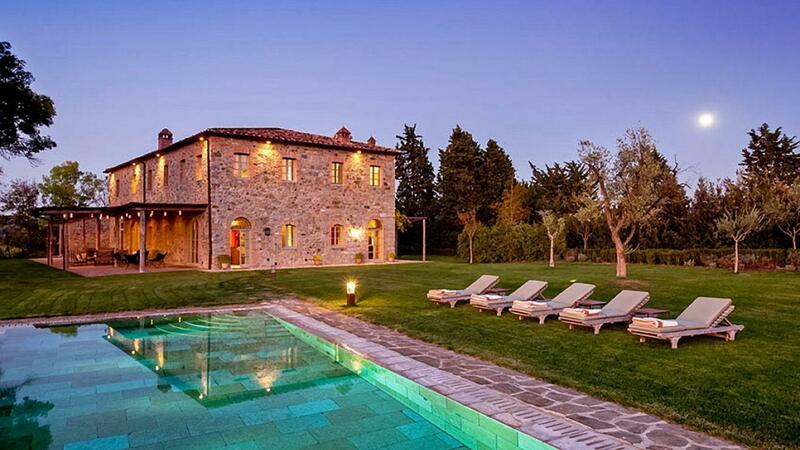 Click below to view our wide variety of luxury properties available for rent in Tuscany .